REMAX Town & Country Bridgemill is ready to make your real estate dreams come true! We help with relocation, rentals, buyers, sellers, and anything in between. Our expierience and knowledge in the real estate field is what keeps us at the top of the real estate game. We are dedicated to providing you with the best real estate experience possible. After all, a real estate transaction is one of most important decisions you can make! Give us a call at 770-345-8211 or stop in TODAY to speak to one of our agents! "Being new to the area, we needed a realtor who could answer many questions we had. 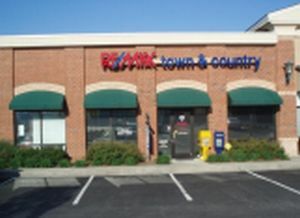 We found exactly that at REMAX TC. We found the perfect home in a safe subdivision for our family. We wouldn't recomment anyone but a REMAX agent!!!"